Soak the beans overnight and cook for 1 1/4 hours. Heat the margarine or oil and add the carrots, cook for 10 minutes, then add the leeks and mushrooms and cook for a further 10 minutes. Add the flour and stir well, so that it mixes with the fat. Add the canned tomatoes and stir continuously for 2 minutes until it has thickened. Add the cooked butter beans. 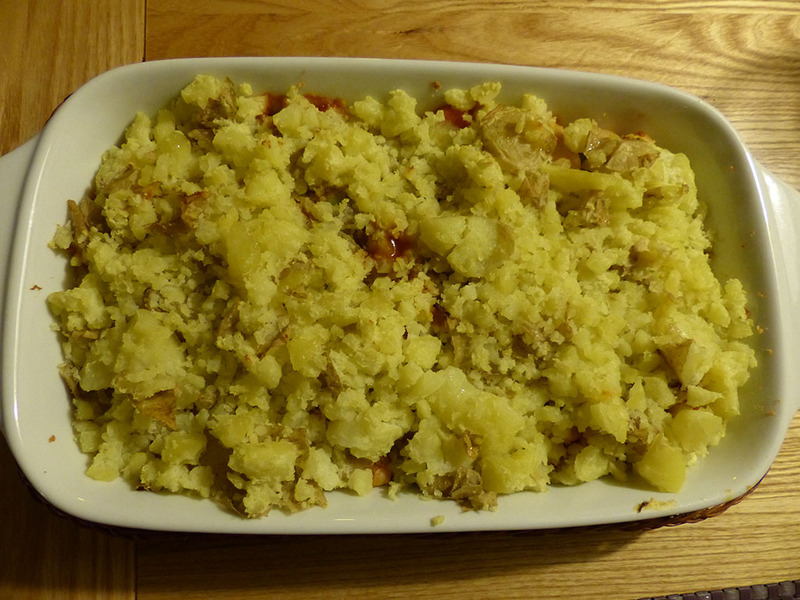 Add the bean/veg mixture to an oven dish and top with mashed potato. Cook in a preheated oven (220C/Gas 7) for around 20 minutes until piping hot.